While my great sports love will always be the Iowa Hawkeyes, I’ve become a die-hard Real Betis fan, one of Seville’s teams in the top-tier of La Liga. La Liga is home to world famous football squads such as Real Madrid and Barcelona. These two squads annually compete in El Clásico. Due to the match’s popularity, free tickets have been given away from a competition making El Clásico one of the grandest and much-awaited sporting event in Spain. The Estadio Benito Villamarín hosts Real Betis home games and has a capacity of 45,000 spectators. They say that only Real Madrid and FC Barcelona have more fans than the verdiblancos of La Palmera, and football is not just a sport, but a passion for fans. Tickets are usually cheap, and the thrill of constantly teetering between victory and defeat gets anyone’s heart racing. Your kids likely won’t understand the choice swear words for the referees, called árbitros, anyway! The Plaza de Toros de la Maestranza is the second oldest modern bullring in Spain and home to one of the most well-known bullfighting festivals in the world. 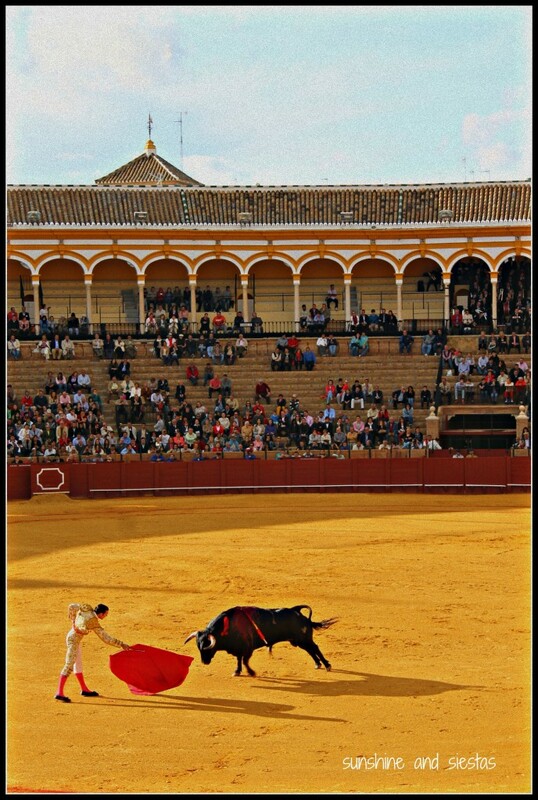 Even if you do not like to watch bullfighting matches, it is still worth a visit. The mustard-colored albero sand and the stark white of the building is insanely gorgeous.Construction began on the structure in 1749 and the building has been maintained until today. There’s also a small but informative museum that celebrates the history of the sport, explains its three parts and pays homage to the toreros who compete, which can be conducted in English. You can even see the head of the mother of Spain’s most famous bull – the one who killed prominent bullfighter Manolete. According to tradition, if a bull fatally gorges a bullfighter, the mother of the animal is slaughtered. If you are only going to be in Seville a couple of days and want a way to see as much of the city as you can, consider taking the Seville Bike Tour. 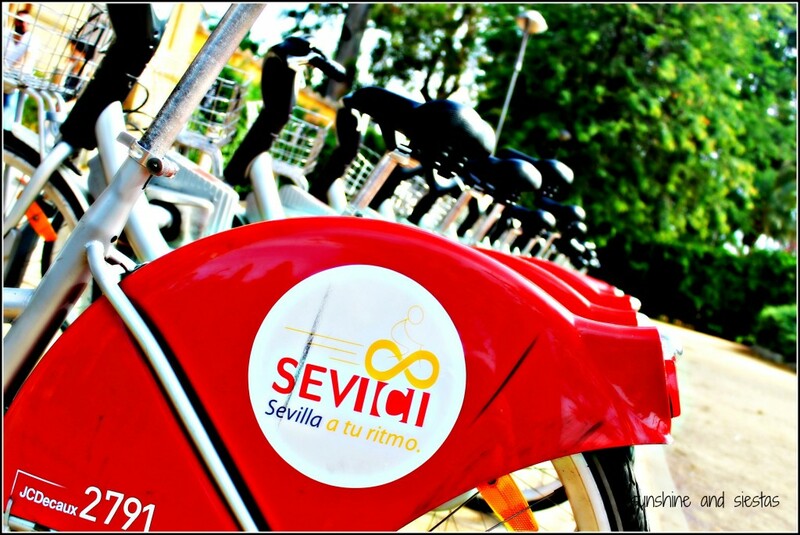 A bike rental is included in your fee and your tour guide takes you around to the best places in the city while explaining to you the history of Seville. Tour guides speak English, Spanish, and even Dutch and are very friendly and accommodating. One of the largest wildlife parks in Europe, La Reserva del Castillo de las Guardas has over 1,000 animals and 100 different species in settings nearly identical to their natural habitat. You can drive through the habitat on your own or have a guided tour while seeing lions, zebra, and all sorts of wildlife as if you were on Safari. In addition, there are also exhibitions and live shows separate from the wildlife habitat that include sea lions and even a recreation of the American Wild West. La Reserva of Castillo de las Guardas is located about one hour north of Seville in the town of the same name. Other museums like the Pabellon de la Navegacion or the Castillo de San Jorge are cheap and kid-friendly options, as well as the wealth of parks and plazas. If I were a kid, I’d been in and out of the fountain in La Alameda de Hercules during the hot summer days (but mostly just to get a funga face from the Naners)! 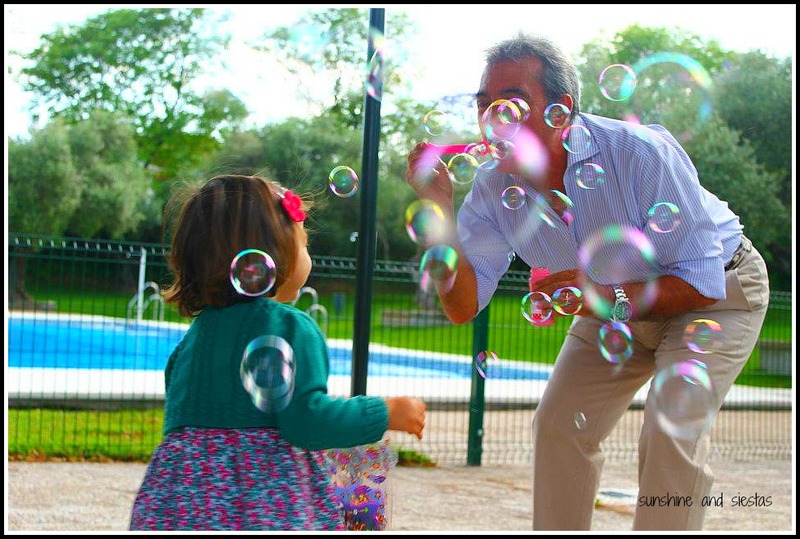 Where do you mommies and daddies hang out with your kids in Seville? Ooh we need information like this for our visit to Seville! Do the bikes have child seats? Is the tour around pedestrianised areas or near main roads? Lisa recently posted..Coffee in Spain: How do you like yours? Lisa, these guys are great – http://www.kikebikes.com – very good prices, helpful and friendly, will deliver the bikes, though not sure how small their kids’ bikes are (ie how young children they’re for) -. worth asking, anyway. Funnily enough, I was just planning a post on this very subject, and all the places I had chosen where I like taking my kids were different to your ones – shows how much there is to do for families in Seville! Great, excited to see it! I don’t have any kids yet, so you’ll know much more than I! I’ll be sure to link once it’s all up and live. The horse & carriage rides at the Cathedral & Plaza España would be enjoyable. Most definitely, as would the bike things in Plaza de Espana. This is by no means an exhaustive list, as there are plenty of things to do for kids in many parts of Spain! Wouldn’t the Alcazar also be child appropriate? Maybe not for small toddlers and babies but any kid over the age of 5. We visited castles in France in the Loire Valley when I was about 8 or 9 (which means my sister was about 6 or 7) and my sister and I both loved it! (We were always pretty well behaved though so my parents tended to drag us on many things most kids might have cried and screamed through) I think children might really like the Alcazar because royalty used to live there and the gardens have peacocks. Or also if there are any amusement parks in the Seville area, that’s always a hit with the kiddies. amelie88 recently posted..This is Normandy! Sure! I was looking for relatively cheap, out-of-the-box things to do, but agree that the labrinyth and the peacocks in the Alcazar could be fun for kiddies, too. This is perfect! I’ve been looking into bike tours we can do with our little ones when we head to Seville later this month. So many great suggestions we will be trying out! So glad they’ve helped! Seville is a really wonderful city for families because it’s flat, largely pedestrian and has many activities for the little ones and tons of parks. If you’re willing to get out of the city, both Jerez and Castillo las Guardas have zoos!